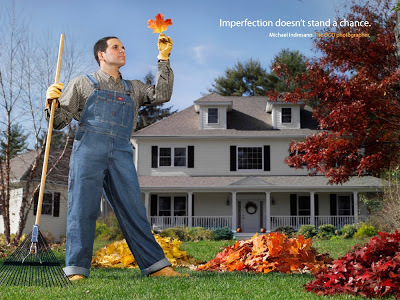 Imperfection doesn’t stand a chance when you hire Michael Indresano. Pick your favorite and let us know by writing comments. 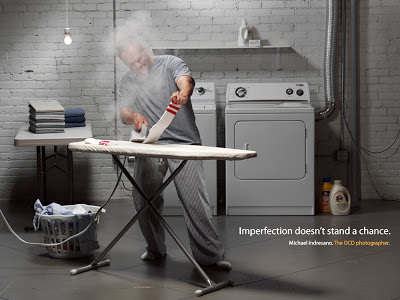 OCD Photographer steaming his socks! OCD Photographer combing the rug fringe! OCD Photographer color sorting the fall clean-up! 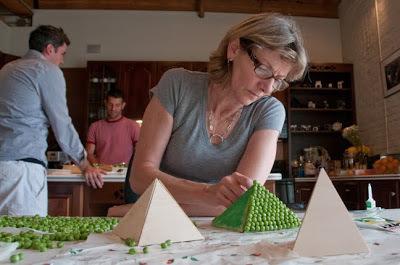 OCD Photographer arranging peas while dinner guests patiently wait! 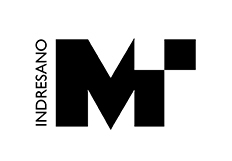 Posted on March 23, 2010 December 16, 2015 Author michaelindresanoCategories Photo CampaignTags ads, Bedroom, campaign, campaign photography, comb, Dining Room, Dinner Party, iron, laundry, leaves, Michael Indresano, OCD, peas, rake7 Comments on OCD AD CAMPAIGN. Our latest shot for our Self-Promotion Campaign with Fort Franklin. 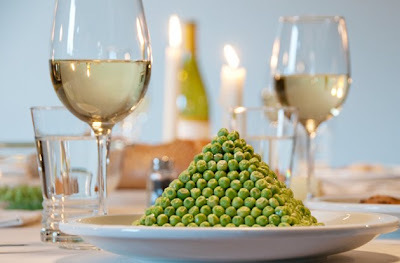 When Michael has a dinner party, every pea is in place! 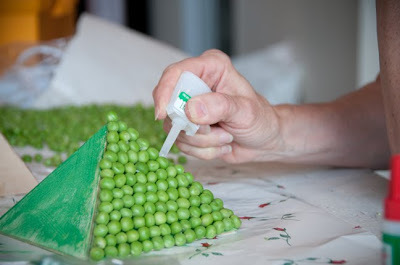 A pyramid of peas is not a naturally occurring event. 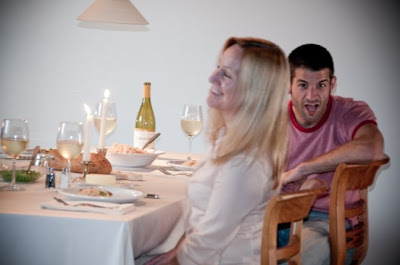 and copywriter Phil Henson keeping it fun. evaluating and making adjustments to the shot. and amusement expressions with the precision peas.